Whether you’re looking to move home or relocate your business, you’ve come to the right place. Here at Fox Moving & Storage, we’ve been providing an efficient and cost-effective UK and international removals service for both individuals and businesses for over 40 years, so whatever your requirements, we’ll have the answer. The fact is, moving house or switching your business premises can be an incredibly anxious time. The last thing you need to worry about is whether your prized possessions are going to make it there safely! 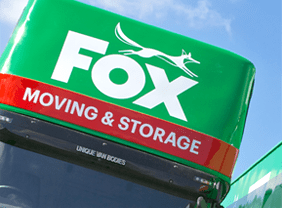 You need a company that you can trust and with Fox Moving & Storage, you’ve found it. As one of the most established and recognised names in the industry, you can rest assured that we possess the experience and expertise to handle your move with the minimum of fuss, and at an affordable price. So why not contact us today to find out how we can get you moving? If you’re planning on moving abroad, then we can help with that, too! In fact, we’re one of the UK’s foremost international removals companies. Fox has international arrangements with removals agents in a whole host of countries around the world. So wherever you’re headed, you can be sure that we’ll be able to do the job quickly, effortlessly, and at a price you can afford. Here at Fox Moving & Storage, we take great pride in the high standards that we set ourselves and our internationals removals service is one of the very best around. We’ll handle virtually every aspect of your move, from initial collection and packaging, through to storage and shipping, whether by ship, rail or air. We can arrange collections from most UK towns and cities, at a time that suits you. So give us a call or contact us via any of the methods listed on the website and let us know about your specific requirements. With our skill, knowledge and with local experts in most countries, we will help you with all the necessary paperwork, ensuring that there are no problems when you arrive at your destination! Our overseas coordinators possess many years’ experience dealing with international removals, and will be on hand to offer advice and guidance regarding all the documentation to make your move as smooth and hassle-free as possible. Where necessary, our local agents provide a helping hand with any customs and import requirements that apply to your furniture and effects. Here at Fox, we really do care about our customers. We appreciate that moving home is one of the most difficult things a person can do in their life, and we’re committed to making it as stress-free as as we possibly can. You can be sure that your belongings will be protected at every stage of their journey, and delivered carefully to your new home, wherever it may be. So whether you’re looking for a home or business international removals service, you can rest assured that your possessions will be in the safest of hands, every step of the way. For more information, take a look at our international removals page or request a quote using our detailed online quotation form. Alternatively, if you’d like to discuss your specific requirements with a member of staff, then call us today on FREEPHONE 0800 021 7621 or email the team at international@fox-moving.com. Whether you’re a small company moving to the other side of town, or a national company relocating to a different part of the country or worldwide, Fox Business Moving has the experience and the resources needed to make the transition as smooth as possible. We understand that when an existing business relocates, it’s not just speed that’s of the essence, but also minimal disruption. It’s crucial that the relocation is handled with efficiency, care, and thoroughly pre planned, to ensure business continuity for both your staff and your customers. Luckily for you, we’ve been handling office moves for decades. We know exactly what it takes to move your business swiftly, safely and with the minimum of fuss, so that you can get back to work in the shortest possible time.